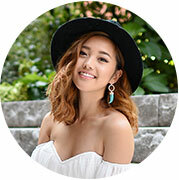 Jenn Im may be better known to vlog about fashion and style trends than skincare on her popular YouTube channel "Clothes Encounters", but the gorgeous California-based Korean-American still faces skin issues like the rest of us once the seasons change. Here, she reveals her fashion and beauty must-haves for Fall 2014. "A fashion trend I always love during the Fall is layering," she says. "As the season changes, you can gradually add layers like adding a thick knit sweater to a dress or throwing on a scarf. That’s why I’m on the lookout for a cute lightweight jacket which I can layer with hoodies until winter." "Now that summer has come to an end, I’m not out in the sun as much, and the weather is a little cooler so I tend to notice that my skin gets drier during the Fall. Luckily, it’s nothing too serious, so I just switch to a thicker moisturizer during the day and night." It's really important to start early when it comes to skincare… the sooner you start, the better. Facial Treatment Essence should be a staple in every woman's and man's skincare regimen. "You can’t go wrong with SK-II’s Facial Treatment Essence - it should be a staple in every woman’s and man’s skincare regimen. It's an absolute necessity in my skincare routine. Whenever I apply it, my skin feels supple, smooth, and healthy. Especially during Fall, when my skin is slightly drier, Facial Treatment Essence rehydrates my skin." 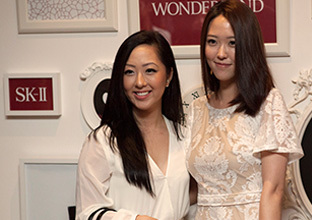 "I believe it’s really important to start early when it comes to skincare. 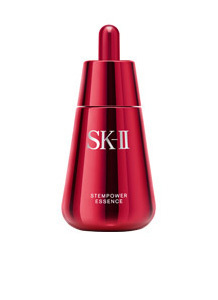 The whole thing about anti-aging is prevention - the sooner you start, the better - so even though I’m still in my early 20s, my goal for the Fall season is to start looking into anti-aging skincare products, like SK-II’s Stempower series."